Come celebrate Lunar New Year by saving big on Overwatch! Players interested in joining the fight can head to the Blizzard Shop from 19:00 GMT this evening until 8:00 GMT on February 27 to pick up the Overwatch: Standard Edition for PC at the special price of £16.99 and the Overwatch: Game of the Year Edition for PC for only £24.99. In addition to the complete roster of heroes, maps, and game features, the Overwatch: Game of the Year Edition gives you a fully loaded bundle of bonus content and Overwatch-themed extras for several Blizzard Entertainment games. If you’re already an agent of Overwatch, you can upgrade to the Game of the Year Edition for only £8. 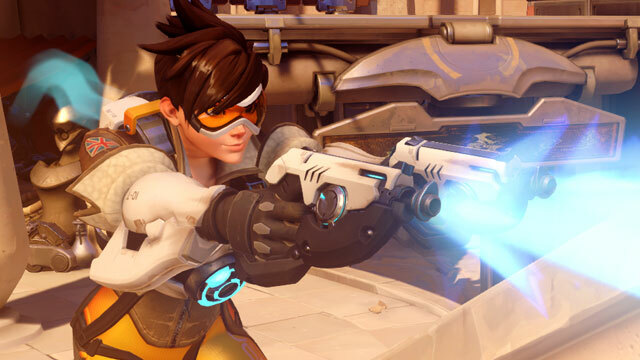 Players can also take advantage of a discount on the Overwatch: Game of the Year Edition for PC, PlayStation 4, and Xbox One from participating retailers and via the PlayStation and Xbox stores. Please see their respective websites for details. As well as the sale, we’re running our Overwatch Free Weekend from 19:00 GMT this evening until 8:00 GMT on February 20 on PC, PlayStation 4, or Xbox One! All you need is a Blizzard Battle.net account, a PlayStation Plus subscription, or an Xbox Live Gold subscription.